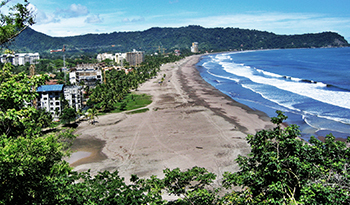 Jaco is a large, bustling town situated on Costa Rica's Central Pacific Coast. It is a favorite among foreigners looking for a tropical alternative to the cold winters experienced up north. Warm weather, beautiful beaches, and a vibrant nightlife all make it an attractive option for those looking to live it up in Costa Rica. Travelers have plenty to choose from when it comes to vacation rentals in Jaco. Some of the most desirable vacation rentals are beachfront and have amenities like private pools, outdoor entertainment areas, and, of course, direct access to the beach. 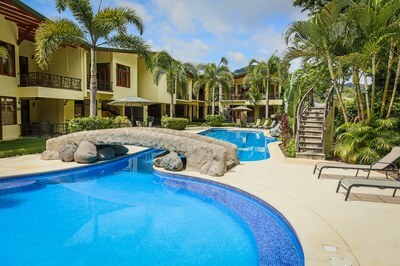 There are plenty of Jaco real estate options for those who are interested in investing in Costa Rica. From high-rise condos to traditional-style casitas to luxury homes built to American standards, there are plenty of properties to consider. Drive just five minutes out of town and you'll find beautiful homes with incredible ocean views. Private communities offer extra security, desirable amenities, and a neighborhood full of new friends. This area of the country is equally popular with young families looking to relocate and retirees ready to relax, have some fun, and enjoy their retirement in Costa Rica.